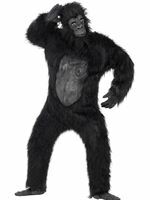 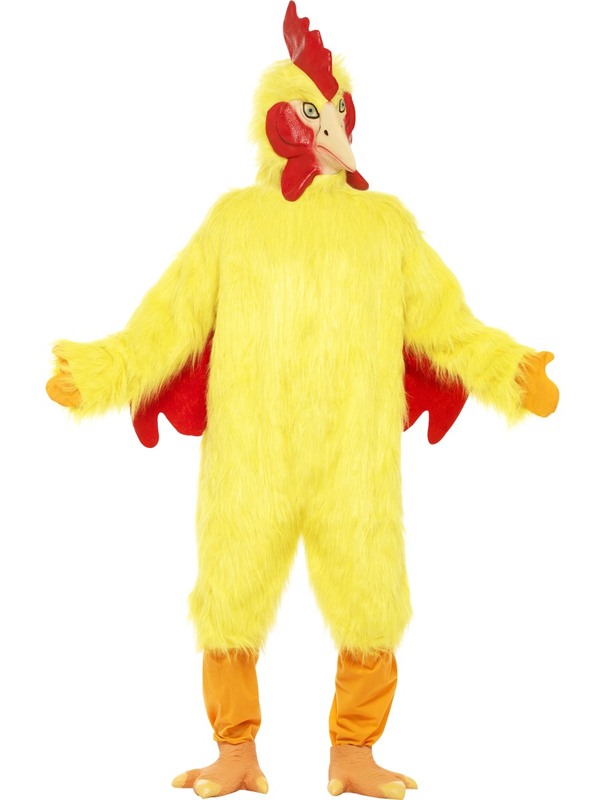 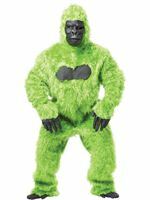 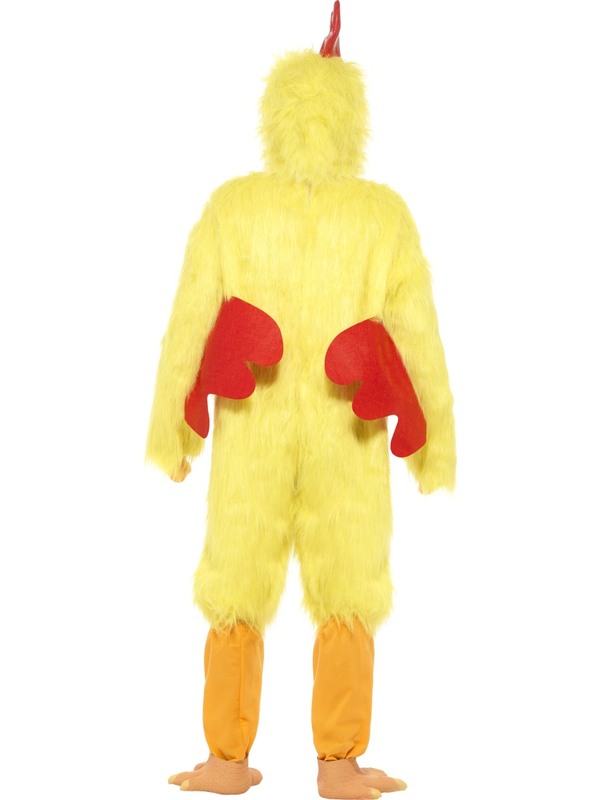 Our Adult Deluxe Chicken Costume comes complete with the All in One Plush Fur Yellow Jumpsuit with the Long Sleeves and Cropped Trousers along with the Bright Orange Ankle Pieces and Matching Mitten Gloves. 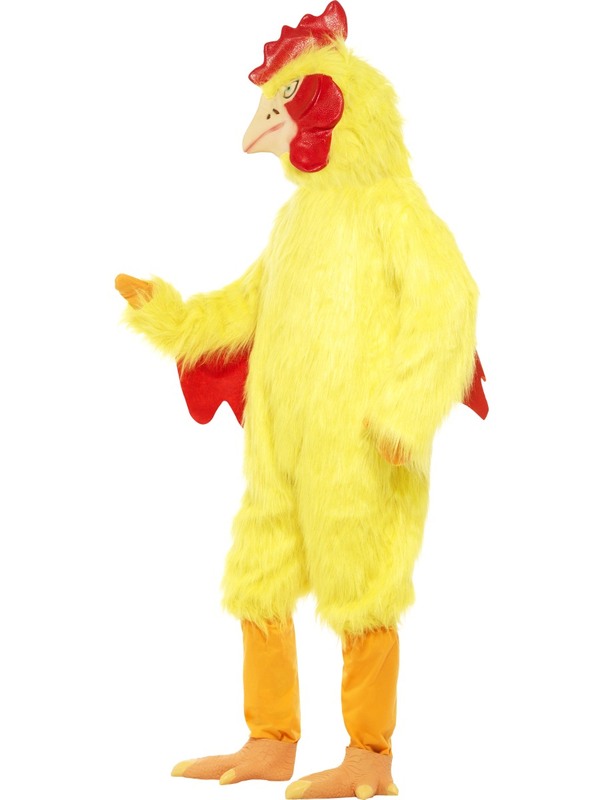 Completing the Costume is the Rubber Chicken Feet and Full Overhead Character Mask. 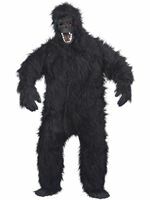 Medium 38" - 48" 47"